What is a Reseller Hosting? Guide to Becoming a Reseller hosting! People who already have clients from businesses like web developer, web designer or any other web professional can become a hosting Reseller. 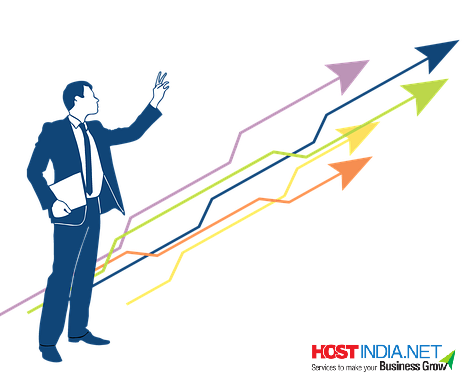 Anyone can become a Hosting Reseller by setting up a web hosting business or can add hosting services as the value-added service provided by the business. Setting up web hosting business is not expensive and it is not also a difficult process so if anyone interested in this business can opt for this. The best part of this business as that you grow your business you will be getting a recurring revenue stream monthly basis or yearly basis. You must be wondering that now you have to buy a hardware, set it up and keep it safe and provisioning it with a high-speed internet connection. But if you don’t want all this procedure then you can also opt for companies who provide Reseller Hosting plans. It is a low-cost way to enter and it has a low ongoing cost. There is recurring monthly and annual revenue that you can gain through this plan. When it comes to providing the client with shared hosting versus reseller hosting there are pro and cons to both of the side but Reseller Hosting is been always the best choice. It is very important for the client to have the control over the server which is not possible through shared hosting. So for the client to have an independent server they should have a control panel with their own username and password and when they try to log in only their details should show up and no one else. When the client has the control then it results in customer satisfaction where they client can manage the server which will also create a great relationship with the customer because they won’t be any chance where they have to wait for you to get back to them. So with this, you have to do less administration and you will more free time in building better relationships with your clients. Reseller Account gets a huge amount of disk space and bandwidth where you can resell them to your clients. You can create your own hosting plans where you can also provide services accordingly. A Reseller hosting can provide services such as Diskspace, Bandwidth, Email accounts, FTP accounts, Addon Domains, Parked Domain, Databases and Email List. If there is a client who has a basic website and doesn’t require a database then you can generate a basic plan without that function and charge accordingly. But on the other hand, clients who have an E-Commerce website that need a database should be provided service with that feature. So this won’t you cost a penny but you have made an upgrade option which will incur extra revenue. Reseller plan has a White label feature so the time when you will start providing service, you will be then known as the Hosting Company. How to get started with Hosting Reseller? First, select the Hosting Plan but if you are doing this for the first time then choose the Entry Reseller Plan. This can be upgraded anytime instantly and automatically. When the account is activated you will receive a welcome email all the details like password and username and link to the main Reseller Control Panel. Reseller Control Panel is also known as WHM and it is the top level administration control panel. Login to the WHM and then start configuring it by creating packages and features that will be presented to the clients. So once you have the cPanel set up, you will save a lot of time because all the features, permissions, and limits will be all predefined so you don’t have to waste any time to configure the settings every time you create an account. If in future you want to change the settings or the packages then you can do it anytime. When you have created all the plans you need to just add new client by just providing the client's domain name, username, password, and Email. Reseller should provide the First Line support for the clients. Day to Day issues should be resolved and he/she resolve any doubts or queries. The reseller hosting will be provided with background support if there are any issues with the reseller plans that they have purchased from. There are hosting companies who provide 2/ 7 technical support but for your customers, you have to provide the First line support. There is a lot of competition out there and it depends how you will provide the service to your customers but it is recommended to choose a host who provides excellent service, price, and infrastructure. When your host will provide you the best reseller plans with excellent overall infrastructure and performance then only you will be able to provide excellent service to your customers so it’s better to do a whole background search of the web hosting company so that there won’t be any problem in the future. What is good for my business Website, SEO or PPC? As you have a business you need to put efforts and have a strategic plan in attracting more and more customers to your business to create more sales and profit. Now there are two modes that is traditional mode and online mode of attracting customers but in today’s time, Online Marketing has become essential component for retaining and creation of new customers. You may know that Search Engine Optimization is a process of gaining new visitors and providing quality traffic to the website via organic search engine results. On the other hand Pay per Click is where you have to pay for the traffic when someone clicks on your website that shows up in the Advertisement Section at the top of the Google Search Result. There are many types of Pay Per Click mediums but the most used is Google Adwords, Facebook Adds, Linked Sponsored and there are many different types of other social media platforms that offer PPC. 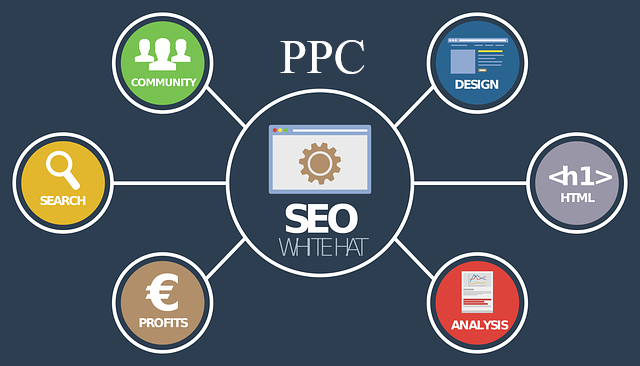 But in this Article, we will be talking most and foremost about the Google Adwords because that is the most common type. Many think that Search Engine Optimization is a free and convenient way of pulling traffic to your website but it isn’t so true. You may need to hire a skilled Digital Marketer who will make sure that your Website is SEO optimized so any way you have to spend your time and money. SEO isn’t as free as it sounds you will need to put your time and effort to see the visible results. It will take a certain time for you to see results because there are others who are competing to come first in the Google Search Result. Creating content on the website is the best way to get organic traffic via Search Engine Optimization but it isn’t so easy to do it in the short period of time. There are many people who think that by only providing two content once in Six months will do the magic. SEO takes time so thus it is a long-term strategy but the rewards are far more satisfying. With SEO you don’t have to continuously monitor, you just need to create the content and it will work for you in time. It’s like doing an upfront investment but after some time you will get a reward for a period of a long time so this is same with the content. You need to invest upfront cash for Pay Per Click from day one. You will first need to set up an Ad Campaign and then you will be sending traffic to your website where the orders will start flowing into your business. So you will be paying cash for the leads that you are getting through it. Google itself is promoting such technique because if you see the Google Search Pages you will notice that there are many advertisements. Earlier there used to be only three at the top but slowly the number is increasing and the people who use the SEO technique are getting squeezed out. Just like SEO you will also need a skill or hire an expert on how to use PPC so that you don't waste your money by getting nothing in return. With Search Engine Optimization, it is a long-term plan so it is not like the plan that you just plug it in and it will work immediately. SEO is a long-term strategy so it’s more recommended for lower competitive industries. If you are not much in the competitive arena then you need not put much effort into making your website SEO optimized. If you are a local business then you don’t need to make a lot of efforts to make your website SEO optimized because it is not so competitive so you don’t have to do much for high ranking. Your content will be doing all the work for you for Search Engine Optimization so you will be getting a continuous flow of traffic. If you do a great job then only, your content will be providing you a good amount of website traffic. With Pay Per click you will get an instant traffic and if you do it right then you will definitely get traffic. You can get tons of lead if it is set up correctly and great advantage about this is that you get people to do anything like downloading a report or contact you or you tell them to do certain activities such as downloading a specific software or writing a review or anything. cPanel is a Control panel that manages the hosting service and most of hosting company provide this service. Non-Technical People can leverage from this because they can utilize all aspects of their hosting without any requirement for advanced technical skills. People use cPanel for day to day task such as for administering and managing their email. With cPanel you can create email accounts, setting up mail forwarders and resetting passwords which are very convenient to use. cPanel Hosting allows you to set up domain parking where one domain can be redirected to another domain name or add-on domain where multiple domain names can be hosted under one hosting account. cPanel supports MySQL, Apache, PostgreSQL, PHP, BIND and Perl applications. It also supports Email that includes SMTP, POP3 and IMAP services. Once the cPanel is installed it is then difficult to remove. By reformatting the software then only you can uninstall the software but uninstall guide are only available online for expert server administrators who don’t want to reformat their server. cPanel is mainly popular for shared hosting services and for day to day administration activities for Dedicated Servers and Virtual Private Server. It is designed either to function as a Virtual Private Server or Dedicated Server. You can easily install cPanel where you only need the Linux system requirement of a minimum of 20 GB disk space available and 512 RAM. Now computers can easily handle this requirement because of the technology advancement. cPanel is very user-friendly so it won’t be difficult to use for the users because of its excellent graphical interface. Users can manage their task with just a few clicks where the task can be ranging from calculation disk space, regular backups, site maintenance and searching for web directories. cPanel is easy to the user so you don’t need to hire a system administrator so you can save up on labor expenses and you can also minimize system administrator workload. This helps the website owners to focus on other operation instead of focusing on day to day activities. Once the cPanel identifies any fail service at the very same moment it automatically logs off and restarts the service. The new updated version has DNS clustering system that delivers more hassle-free and robust performance. With cPanel functions and features enables users to manage their hosting accounts and website conveniently. You can use Email management Function, set up email accounts, managing DNS records, setting up databases, anti-virus, and anti-fraud features. You can transfer your website from one hosting company to another without facing any technical problem so cPanel is rewarded to be very portable with movability feature. cPanel is compatible with any browsers such as Chrome, Mozilla, Safari and much more. The users can operate cPanel without any problem on any browser. cPanel licenses don't cost much and there are some hosting company that pays for your license if you are on shared hosting. Many businesses use cPanel hosting for their website which is pretty much Industry standard Control Panel for Linux hosting. cPanel Hosting can be used for Dedicated Servers, Shared Hosting, Virtual Private Server and Reseller Hosting. cPanel has various features available but if you are not the premium user then only small selection of features will be available to you. cPanel delivers front ends for many common operations such as FTP account, PGP keys, mailing list and crontab tasks. You have to pay a fee for using auto installers like Fantastico, Installatron, WHMSonic, and Softwaculous. It also manages software’s other than the operating system such as upgrading applications such as FTP, PHP, MySQL, Apache and Exim and other related software packages. Why opting for a Mobile friendly Website essential for business? Small Businessmen often ask themselves a question do they really need a mobile-friendly website. They think that mobile-friendly website is not meant for small business and they are mainly for large companies. They normally think that mobile-friendly website is for international business, social media personality or media savvy but in fact, a mobile-friendly website is necessary for any website no matter the size of the organisation or the turnover. Since the time, mobile was introduced it has become an ever-growing sensation and now everyone has smartphones so this interprets that people are dependent on mobile phones for browsing internet, downloading files and doing any other online related activity. "People are using their mobile phones when they are working, watching TV, eating and also sometimes when they are in washroom too." So with this, we understand that people no longer rely on laptops or desktops anymore because of the availability of all information on the smartphones itself. 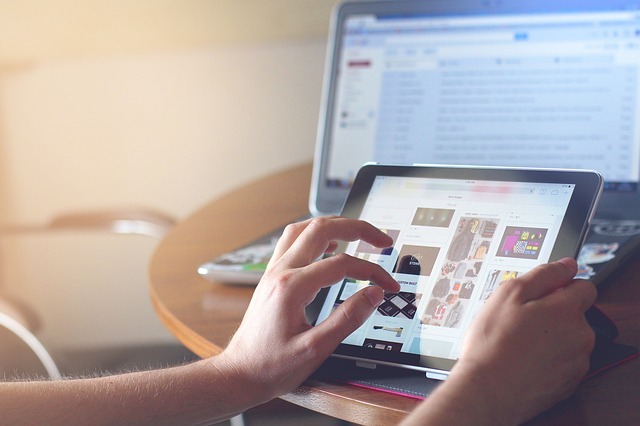 Earlier people were dependent on desktop and laptops mostly for browsing info because there wasn’t much mobile-friendly website but now with further development now most of the work can be done on the smartphones. People has started realizing the importance now therefore most of the business website are now mobile friendly too. Having a mobile friendly website is not just an add-on feature but instead, it has become an essential part of the business. Over half of the population are using mobile devices so it does point out the fact that mobile-friendly website is in demand. Google rank website better for those websites which are mobile friendly too so this means that Google itself is encouraging people to adopt mobile-friendly websites. When Google had updated their algorithms, the update itself started promoting mobile-friendly website. Now slowly within some years, it will be become vital point of ranking websites so for that you will need to make sure that your website is mobile friendly. There are many tools you can check to help you find out the feature of your website. But the first thing you should do is to check how your website really looks like on the mobile but if you are still not sure then you can check on the mobile testing tools that Google offers. You just need to enter the website address and it will automatically show you the results. 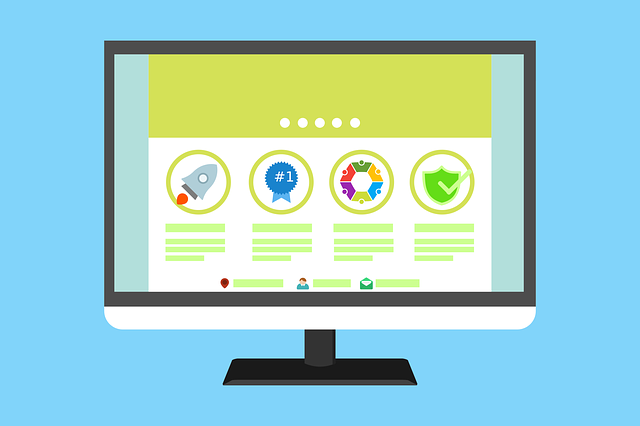 If you are a small business then there is a higher chance that your competitor website is not much of a mobile friendly website so this will give you an added competitive advantage. It is been observed that 60 percent of the business is not mobile friendly so by making your website mobile friendly you will have an advantage than the less-savvy competitors. User experience is crucial in any aspect and when we talk about website then making your website mobile friendly will make sure that your customers are been reached at every step. If your website is not mobile friendly then the users will not even try to put their effort or waste their time in zooming in or out ;or even try to adjust the font but simply they will hit the back button thus it is very important for a business website to have a mobile-friendly website. When visitors do this at every instance then your website will have higher rate bounce rate that means that users visit your website and leave immediate when they are finding any difficulty in browsing. Mobile users are also potential customers so if you eliminate them then you are eliminating your lead that you were supposed to get with a mobile-friendly website. Setting up a mobile friendly website isn't so difficult and it is also not so expensive. There are some free tools that can help you with setting up your website with mobile friendly features. How can Cloud Hosting revamp the way business functions? Cloud Hosting is a Hosting Platform that enables customer a reliable, scalable and powerful hosting established on utility billing and clustered load-balanced servers. A Cloud hosted website is more reliable than other types of hosted website platform because if a single piece of hardware goes down the computer in the cloud can compensate for that. As cloud hosting is decentralized the natural disasters and local power disruptions are not a barrier to continue workflow. It also enables providers to charge only for the resources are consumed instead of paying for the service or storage that they haven’t utilized. Cloud hosting offers pay as you go pricing method which is very beneficial for business. With Cloud Hosting there is no physical object concerned where you can define it as a cloud but in fact, it is an electronic infrastructure where the data will be stored over different computers and it will be served over a network connection. In Cloud hosting the server is decentralized where there is one large storage space and processor. So the website data is laid over a cluster of hard drives integrated together like a virtual disk with a large amount of capacity. Internet and Cloud are both two different terms where the cloud is just a small part of the whole internet but Internet acts like a macroscopic cloud system if you try to see the idea more clearly. The infrastructure that is building can become the foundation of the Internet in the future. We can clearly notice that the bandwidth speed is increasing and the price of the data is decreasing swiftly. Cloud Hosting and Internet have both become essential for the connectivity among the humans. It has simplified day to day activities of every aspect of the daily lives. The combination of various server environments scales as any cloud system grows in size with the distribution of storage and power capacity which is administered by the back-end software Operating System. Admin Server will able to log into the back-end through the terminal and by checking the CPU load of the machine with other important system information. Now, this is called virtualization which offers contemplation between the hardware and software components. The administrator can easily optimize the cluster for data backups, optimal energy usage, storage efficiency and more. It is cost-effective compared to the physical or virtual server plans. The customers can also take advantage of the Content Delivery Network if he/she doesn’t require server setup. The Customer will be only charged for the bandwidth they utilize to stream music, deliver images and other large media files. With the Public cloud, the hosting is done on a virtual server that utilizes resources from other publicly available virtual servers. Public Networks are utilized to migrate the data which is physically stored on the shared servers which develop the cloud resource. They include some security measure to make sure that the data is kept secure from any internet exploits which will be enough for most of the installations. Customers who are more concerned about privacy and security then they should opt for Private Cloud. Private Cloud can be referred as ring-fenced resources such as networks and servers located on the site or with the Cloud provider. Cloud Hosting is Reliable because any disaster won’t affect the data much because of the virtual partition. It is provisioned with high security so that the data are safe from people who want to access or disrupt it. Cloud Hosting is highly scalable because it is not confined to one place and not restricted to one capacity of one server. So the user can scale up or down the performance and the resources depending on the traffic which it can help in saving on cloud expenses. The best part of cloud hosting is that you have to only pay for the services that you utilize, unlike the other physical servers where you have to pay for on the whole package even though if you haven’t utilized some of the storage space. As you know the importance of Search Engine Optimization for the website as to how it makes the website more visible to the viewers. But for the website to be SEO optimized it takes effort, time and tools. There are SEO tools available on the market that will help you revamp your website which will provide better ranking at Google Search Engine. When someone has set up a new business then the first thing the business want is exposure and that is what online world does that. It is very cost-effective and reaches a larger audience. When you set up a website then it doesn’t mean that the Google Search will automatically drive traffic to your website. 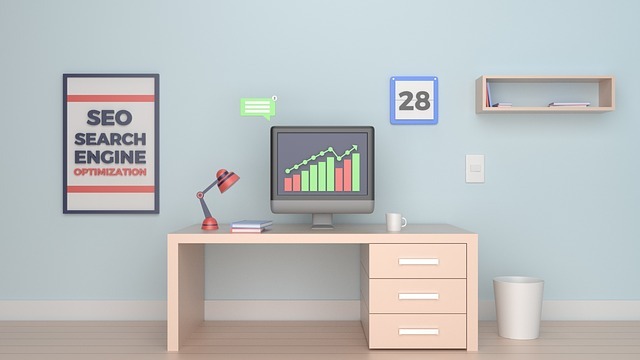 You will need to work on your website so that your business gets more exposure to the following SEO tools will help you show in which area you need to work on your website. Even though if you have a website and want to make it SEO optimized then you will also need to know the main criterion that you need to work on so SEO tools will help you successfully make your website SEO optimized. SEO SiteCheckup will scan your website and they will provide you some points or some changes that you will need to make to improve the ranking in the Google Search Results. With SEO SiteCheckup you can analyze SEO issues, SEO Reports, SEO monitoring, While Lable SEO reports and understands the Competitors SEO profile. Quick Sprout is a popular Search Engine Optimization tool that offers website scanning tool that helps you show which area on your website needs work. Quick Sprout will analyze the website and provide you some suggestion for improvement on your website. You can analyze your website, review and make changes and write and Optimize more. Open Site Explorer is an SEO tool that will let you find ways to link building opportunities. You can easily identify top pages, analyze anchor text, view social activity and research backlinks. Open Site Explorer lets you develop a high-quality Link profile, Research backlinks, Find link building opportunities and discover potentially damaging links. Keyword SEO Tool is a free alternative to Google Adwords Keyword Planner for PPC and SEO Keyword Search where it creates long-tail keywords from the autocomplete of Google News, Web Search, Videos, and Images. It also gets the keywords from eBay, Youtube, Appstore, Big and offers volume data. Keyword Tool provides a free version of keyword tools that generates 750 plus long tail keyword. It is reliable and you can use the Keyword tool for free without any need of creating an account. With SERPs, you can use it to find your position in the search results from the particular keyword. Serps provides daily ranking data, mobile, tablets ranking, results in the 250th position, unlimited users and domains, local rankings, Google and Yahoo ranking in 400+ countries. Browseo is a free Search Engine Optimization tool that will help you view any web page like search engine views it. It will help you identify the issues with your website and also with your competitor’s websites. Google Adword Keyword is a widely popular keyword research tool that enables the users to find the right keywords to target search ads, display ads, video ads, and application. With Google Search console you can view your website’s performance and find more Google Webmaster support, learning and community resources. If you find there is something wrong with your website then with Google Search Console you will instant top issues list, testing tools and support documentation. You can provide new content for crawling or remove the content that you don’t want to be shown in the Google Search Engine results. You can build and monitor content that offers visually search results. You can resolve and monitor spam and malware issues on your website. PageSpeed Tool is a free tool that will ask you to enter your web page URL and then will provide you some suggestions as to how to solve the issues relating to performance and problems on your website. Page Speed tool is a ranking factor that will help you detect issues that are making your website slower. SEO Workers is a popular SEO tool that will measure and check the site ranking potential of the web pages. It analyzes the HTTP headers, relevancy of the description Meta tag, length and relevancy of the title tag, length, the number of keywords and relevancy of keywords Meta tag. I hope that you have found this article useful for optimizing your website into SEO best practices so that your website is much more visible to the world and reaches a larger audience. If you have any suggestion then you can comment down and let us know your recommendation. If you have a small business then you not only have to provide your customers excellent service or products but you also have to promote and scale your business and much more so that your service can reach them. You have to do a lot for your business so that you can reach larger audience and potential customers. A business owner has tons of responsibility, so as a Digital Marketer or a business promoter you need to make things easier and look for areas that will help the business easily sustain customers. 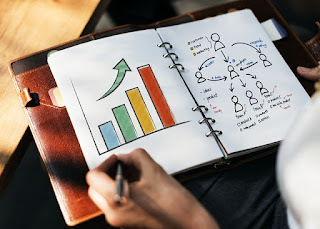 Social Media has become a huge advantage for many business owners because it as a medium to create customers and a pathway of building a great connection with all the followers. Facebook is one of the social media which is popularly renowned among all people so connecting with people is way much easier. It is a great advertising tool for all the business owners to showcase their products or business. 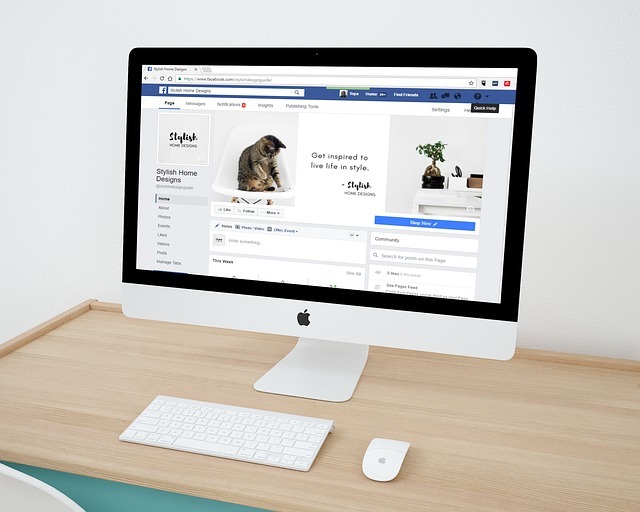 There are some rookie who are using Facebook for business for the first time so with this article you will learn as to how you can use Facebook to promote your business. Assuming that you already have a Facebook Profile alike billion of users on Facebook and that is all you will require for getting started. Users only need to create one profile to promote their business where people create a second profile which is not allowed. It is very convenient because it differentiates from the personal aspect of life from the business so that they don’t mix the personal life content with the business profile which could be your friend list, photos, and post with the business content. It is advisable to create a business page so that you can utilize the Facebook Advertising feature for attracting a larger audience to the page. Facebook also offers analytics which provides information about the behavior of the audience relating to the service or product. Tap on the create page business that you will notice on the profile page to get started. After doing that you will be seeing the different category of business and from that choose the relevant one. Now choose a profile and a cover photo relevant to your business as to what services and products they are providing or you can also put a brand picture of your company (company logo). Enter your username or name of your business so that when people try to find you with a username it will become much easier to do so. After completing all the basic requirements you will then have to enter some basic details about the location of your business, nature and much more. As you have created a Facebook page, you need to then increase audience engagement on your page by increasing the number of Facebook Likes. There are many ways to increase likes on Facebook but below are easy ways to get started. Invite your friends from the friend list to like your Facebook Business Page. You can create a competition or prepare some question and answer session that will allow people to take part and engage in social media which will encourage people to like your page. On your Website itself, you can add Facebook Icon where the visitors can be redirected to your Facebook Business Page when they click that Facebook Icon. Facebook Advertising can be used for a campaign to target new audiences. Creating content is the best way to reconnect with the people so create contents that people would want to read and share with others. This way more and more people will come and like your page. You can also create Facebook Group which is relevant to your business and you can then use it to promote your business and Facebook Page. If you have a higher number of Facebook Likes then you can convert your Facebook fan into clients which will make your business more profitable. You have to turn your Facebook Page Followers into your business clients by getting them out of Facebook and into your website, cafe, restaurant or store. There are no special tricks but there are simple ways where you can do so by steadily and smartly like a salesman pitching your ideas about your service or product. You can give a special discount when people like your page so when they do that then Facebook immediately DMs them by sending special discount code where they can avail them on your business website. Creating Videos and sharing them on Facebook can be a great way to engage the audience on your page. You can give a description of your product and the benefits that the customers will receive from it. People generally get attracted to the visual contents so you can try your luck here. You can use the latest Facebook Live features to reach out to people and explain them about your business or latest offers that you are offering. You can also create tutorial videos if your business is in any technical niche that will require some example or guide to be shown as to how to operate particular software or any hardware. You can also create a list of email out of your Facebook fans and you can send them your latest products or offers details via mail. Offering special offers on Facebook especially for your fan base is a great way to profit from social media. It will convert most of the Facebook fans into clients. Facebook is offering Advertisement tools to promote your business which is becoming very popular because it reaches a large number of audience. You can use this feature to your advantage to creating more customers. Create Contents so that the viewers get attracted to it and dedication should be put forth to maintain Facebook profile by posting daily photos, videos or post. Most of the Google G Suite users are not completely ready to accept the new change Google has made to its design. But unfortunately they are running out of time so they have to make a switch as early as possible. In the Google Blog Post, Google disclosed that they will be allowing their administrators to start transferring their team over the next month. G Suite is a Google’s business line of software that helps teams in the organization to collaborate with each other in a more efficient way. The Gmail update about the new design template will be optional till the month of September but in the month of October, Google will make it compulsory for everyone to make a switch to the new design and the opt-out button will be no longer available. Basically, all the G Suite users will be forced to make a switch to the new design in October with no opt-out option. Google had announced the updated version of Gmail in April 2018. This is the first major update to the Gmail for a long span of time that is loaded with many features which includes AL generate contextual replies that delivers Smart Replies and it also shows attachments in the mail right in the inbox so that you don’t have to open a mail just to see what’s attached in the mail. Now the G Suite administrators can use the Gmail in their own web domain rather than Google’s in spite of G Suite being the Google Services. The new Gmail design has a fresh and clean look for the Gmail on the web which makes it easier to be accessible and you can easily use other Google Services. They are also implementing native offline support for the Google users which will be part of Gmail on the web by June. Gmail users can also “snooze” emails so that they can reappear later at a configured time. 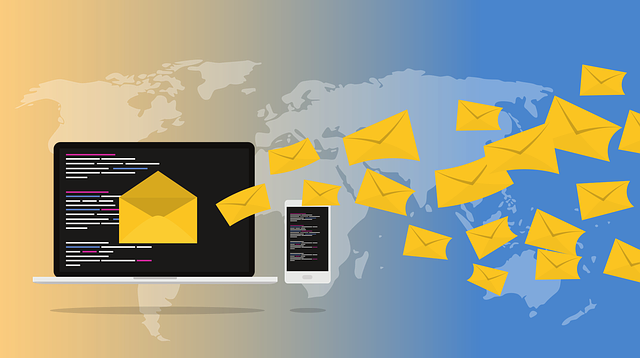 With so many features added to the Gmail, it indicates that Google is trying to make its services more user-friendly and they are using more of a modern approach to help the customers and users to use their services more efficiently. Many business and organization use Gmail for corresponding with their clients, teammates, employees, and staff. Now G Suite is also making it users to compulsory implement the change by making the switch to the new design provided by the Google Services “Gmail” by this October. It makes sense to make the switch now so that you can easily get adapted to its new features. What is meant by Data Center in Web Hosting? Web Hosting is where you store web page files in the compute which is known as a server that is connected permanently to the Internet through a network connection and it is placed at a secure Data center facility. The computer is called Server because it serves web pages from the storage when people visit the website. The Web Hosting includes the cost of the space that is required for hosting the web files, providing email service and network traffic to and from the Server (bandwidth). The Server that is placed at a secured facility is called a Data Centre. Data is a treasured asset which is essential to safeguard at all times. Therefore data center is secured from physical and also from policy-based perspective. The Data Centre makes sure that the server is at the optimal operating condition when it comes to power, humidity and temperature aspect. The Demand for Data Centre grew from 1997 to 2000 when companies required fast Internet connectivity and 24/7 operation to deploy systems and to develop a presence on the Internet. Earlier Small Companies installing such equipment was not a valid choice for the smaller companies because of the cost and experts required to operate Servers. Companies started building large facilities called Internet Data Centres that offers commercials with a variety of solutions for system operation and deployment. 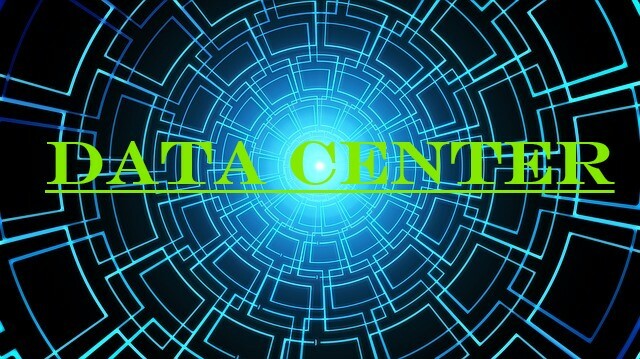 Data Centres that are required for cloud computing are called cloud data centers but now the term is not so much used as before and now it is just simply called data center. Information Technology is an essential part of the most of the organizational operation around the world. The main concern that many face is the business continuity so companies depend on their information system to run their day to day operations. If the system becomes unavailable then the company operation will be stopped. Thus it is essential to offer a reliable infrastructure for Information Technology operation so that they can reduce the chances of any damage or disruption. Information Security is also one of the main concerns so data center provides a secure environment that reduces the chances of a security breach. Therefore the Data Center should meet the high standards of security, scalability, availability and much more for assuring the functionality and integrity of the hosted computing environment. Data Center needs to keep up with data maintenance and keeping check of the proper functioning of power systems and mechanical cooling. The data center’s physical environment should be always supervised by installing an Air Conditioner to control the humidity and temperature in the Data Center. For Data Center the environment temperature should range from 18 to 27 degree Celsius which is 64 to 81 degree Fahrenheit where humidity should be of 60% from 40 percent to 60 percent for Datacenter Environments. The temperature in the data center rises because of the electrical power emits heat in the air which will increase the temperature and if the temperature is not controlled then it will lead to Equipment Malfunction. The humidity also has to be controlled by the cooling the space air but if the humidity is not controlled then water will condense on internal components. If the humidity is dry then the humidification system adds water vapor if the humidity is low but if not taken immediate control then it will lead to static electricity discharge problems which will spoil the equipment. Data Center is mainly used to operate IT system application that manages the core business and operational data of the organization. It also provides another service other than just operations of the architecture.